I was looking for a kit I could use for a spring album with photos from my upcoming trip to London and couldn't find anything I liked. So I started putting something together myself. This is a little preview of where the kit is heading. I really like it so far. Wauw, det er godt nok en smuk QP, Jeanet. Jeg glæder mig til at se hele kittet. Thank you so much for this Freebie. 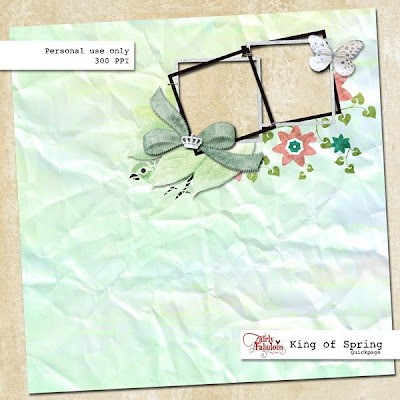 I want to let you know that I posted a link to your blog in Creative Busy Hands Scrapbook Freebies Search List, under the Quick Page(s) post on Apr. 07, 2009. Thanks again.